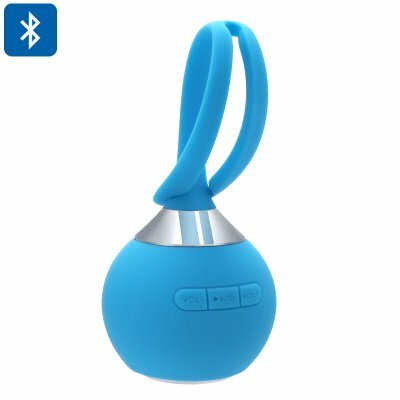 Successfully Added Mini Bluetooth Speaker - 10m Bluetooth Range, 400mAh, 80dB, 3W Speaker, SD Card Support to your Shopping Cart. Thanks to its SD card slot, this wireless speaker allows you to easily slide in plenty of your favorite songs that can be played instantly. Additionally, it supports Bluetooth through which it can be synchronized with your mobile device. When paired with your smartphone music library, it allows you to listen to your favorites songs in 80dB. Thanks to this, you’ll be able to fully enjoy your tracks to their absolute most without being disturbed by your surroundings. Its built-in 400mAh battery can be easily charged through the micro USB port. From now on you’ll be able to enjoy hours’ worth of songs while on the go without needing and external power support. Every occasion is better when your favorite songs are playing in the background. With this mini Bluetooth speaker, you and your friends will be able to enjoy your upcoming trips to the beach or park even more. Simply slide in the SD card or sync it with your phone, and you’ll be all set to fill the air with your favorite tunes. By supporting a 10M Bluetooth range, it provides you with high mobility. Thanks to this, you’ll be able to walk around with the phone in your pocket without disturbing the Bluetooth signal. This wireless speaker comes with a 12 months warranty, brought to you by the leader in electronic devices as well as wholesale electronic gadgets..